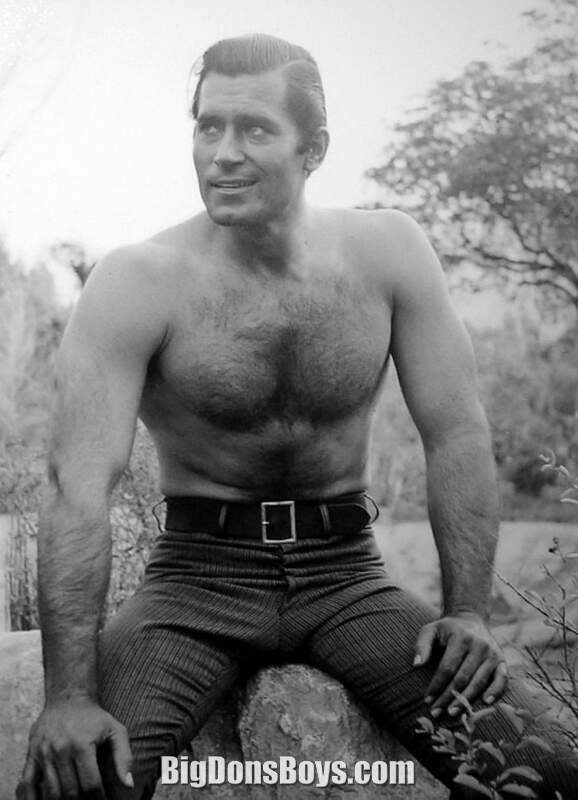 6'6" (1.98m) Clint Walker was one of the first tall muscleguy actors to make it big in something other than a silly Italian Hercules movie or Tarzan rip off. 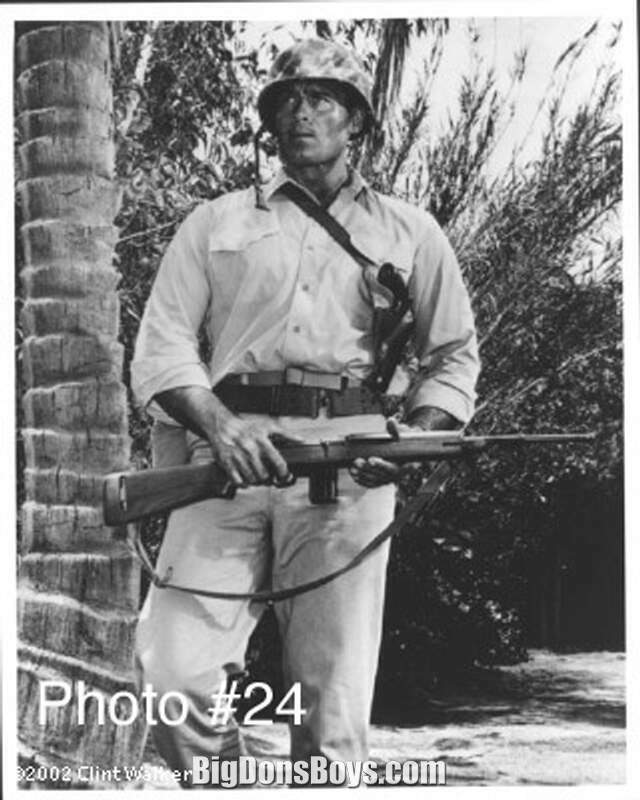 Since that time Hollywood has embraced big men and actors like Arnold Schwarzennegger, Lou Ferrigno, Dwayne "The Rock" Johnson and many many shorter thespians have made action movie money off their muscles. 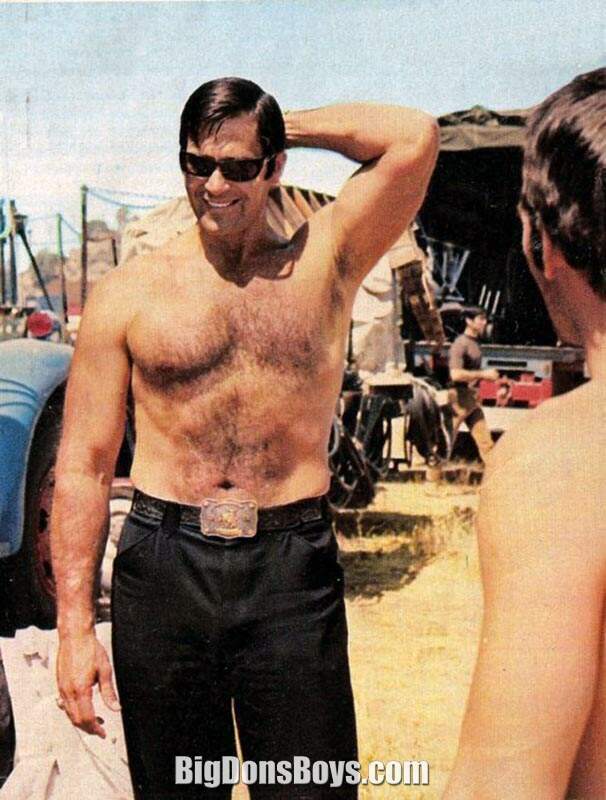 Now it is at the point where you can't star in an action movie without looking like Clint Walker. 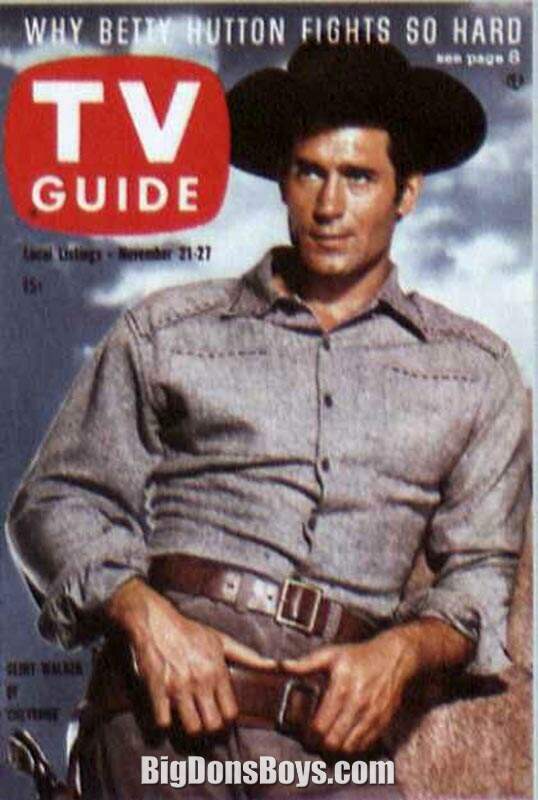 And it's really really hard to find somebody that good looking who can act. 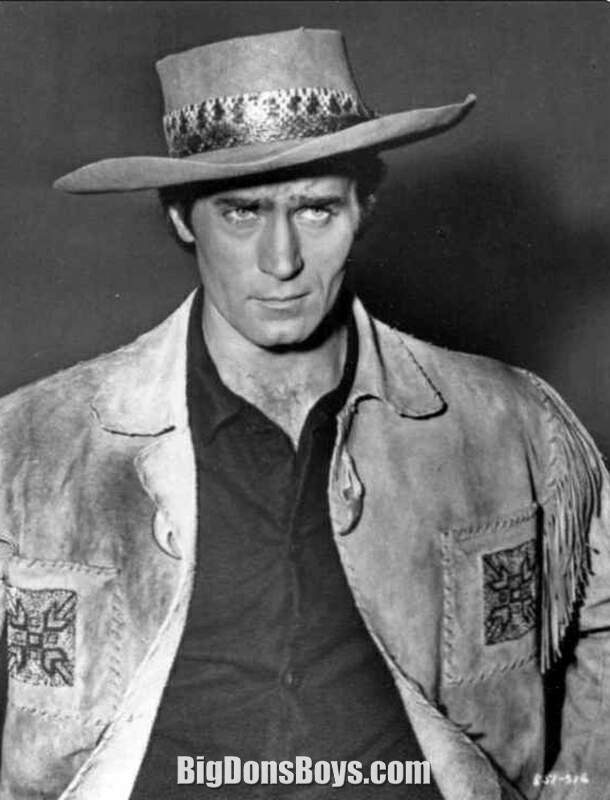 He starred in the western TV show Cheyenne for many years and you don't pull that off if you can't perform and gain an audience's sympathies. 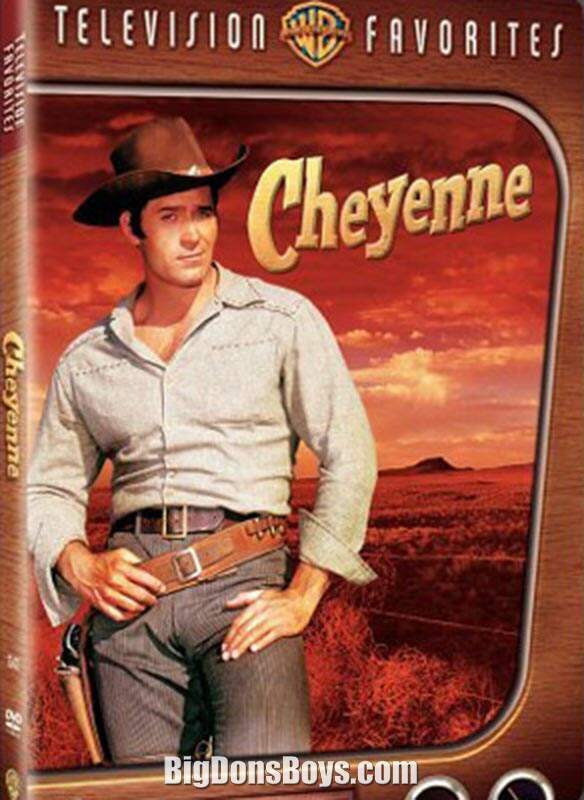 Clint is selling high quality autographed photos of himself and copies of Cheyenne on DVD at his website at the link below. 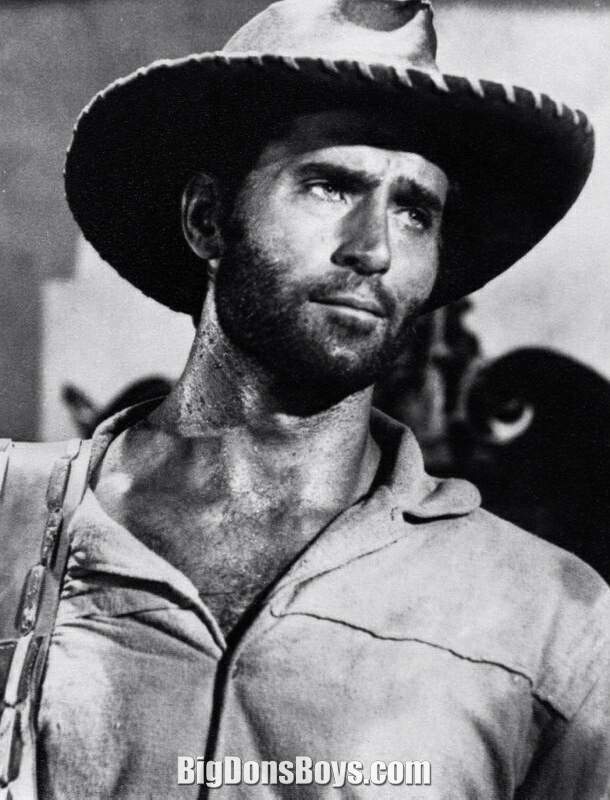 Be sure to check out his page for much much more on Clint. 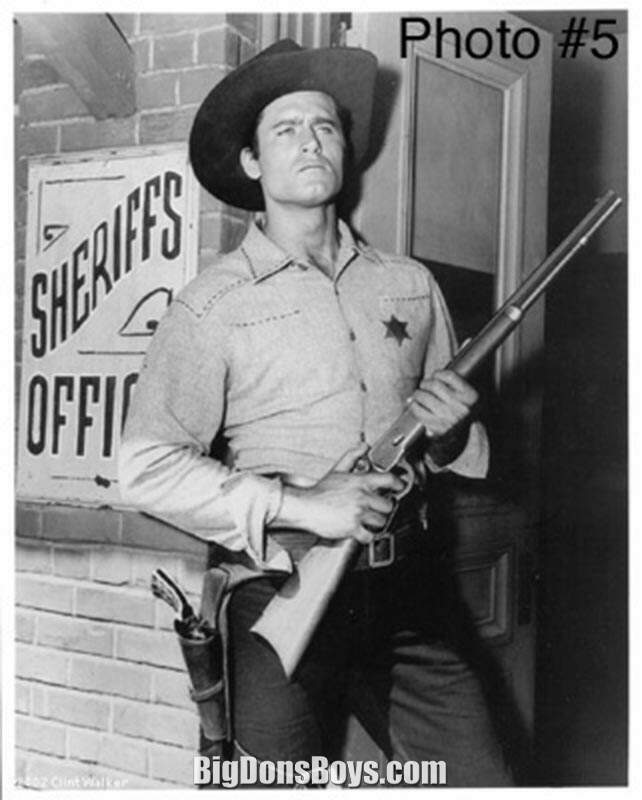 Walker was born in Hartford, Illinois. 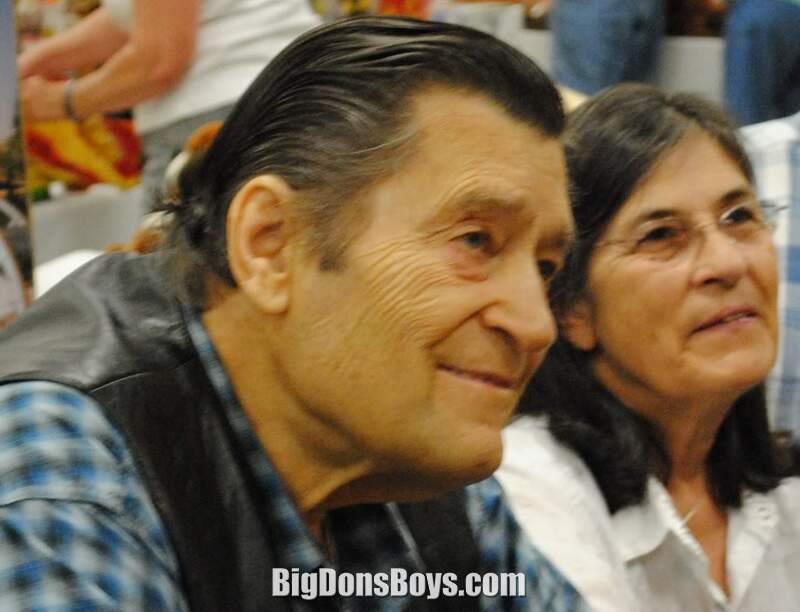 He left school to work at a factory and on a river boat, then joined the United States Merchant Marine at the age of seventeen in the last months of World War II. 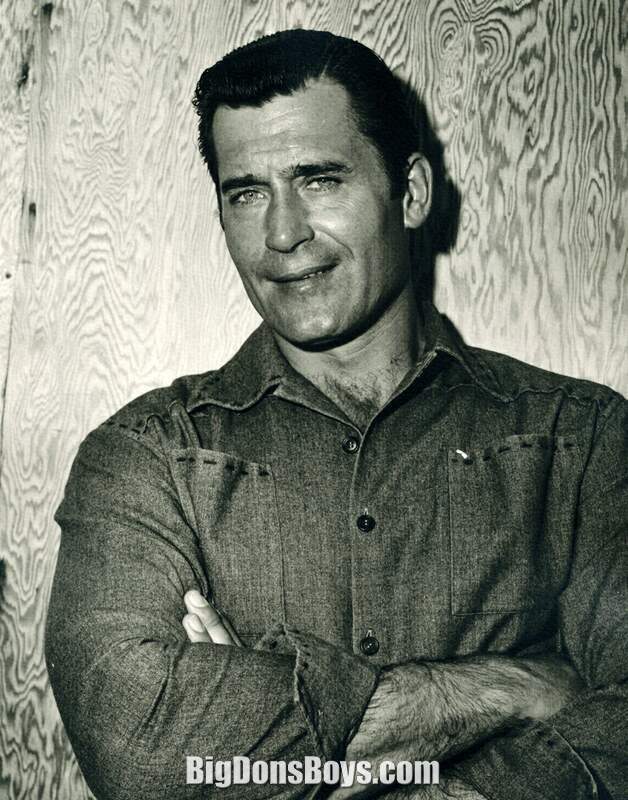 After leaving the Merchant Marine, he labored at odd jobs in Brownwood, Texas, Long Beach, California, and Las Vegas, where he worked as a doorman at the Sands Hotel. 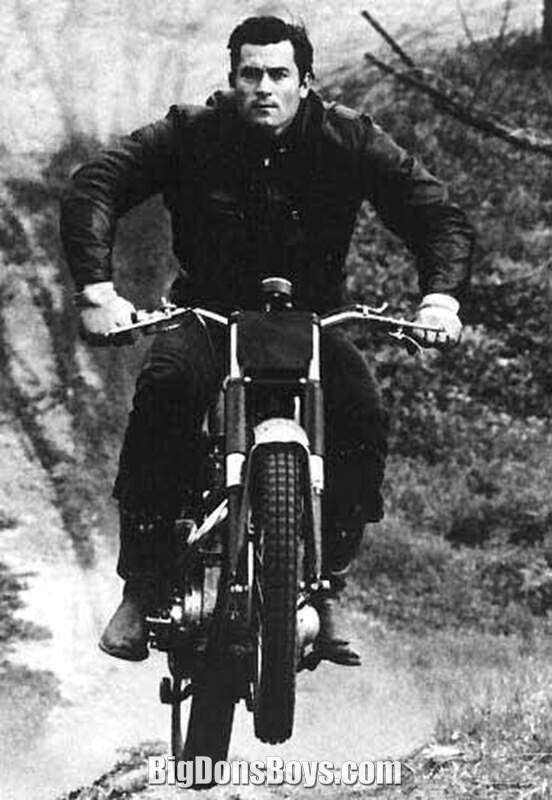 He also was employed as a sheet-metal worker and a nightclub bouncer. 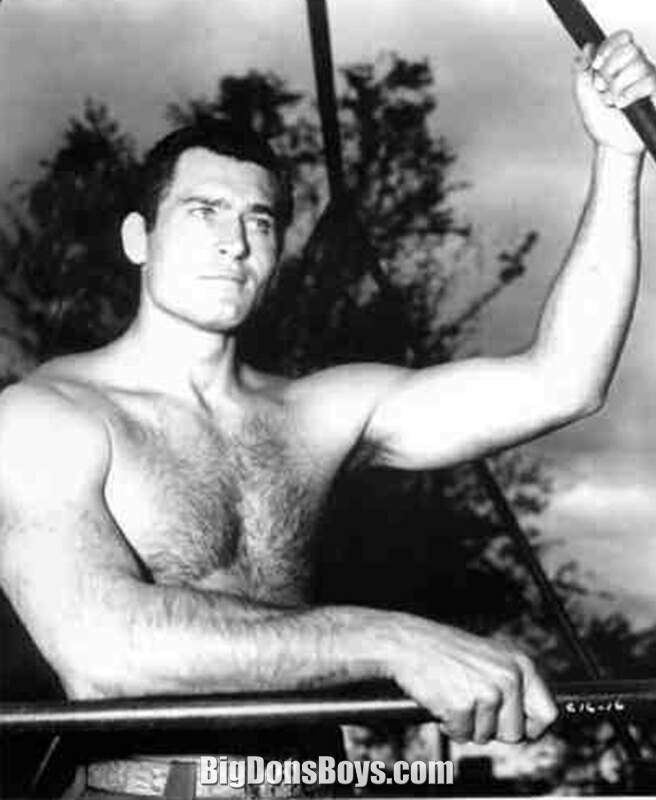 He became a client of Henry Willson who renamed him "Jett Norman" and appeared in a Bowery Boys film Jungle Gents as a Tarzan type character. 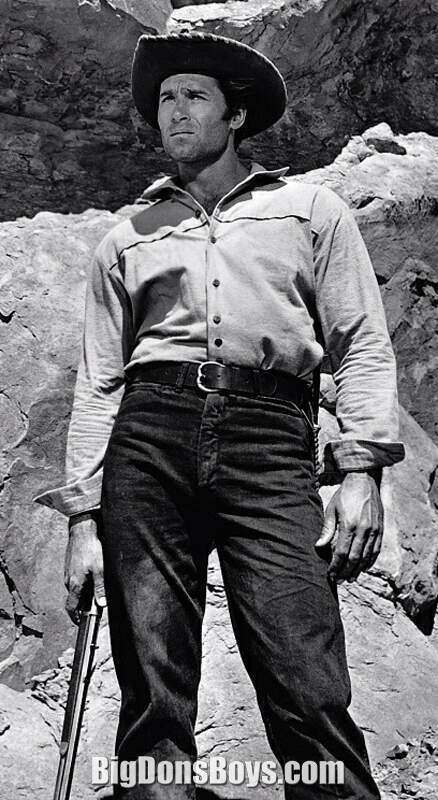 In Los Angeles, he was hired by Cecil B. DeMille to appear in The Ten Commandments. 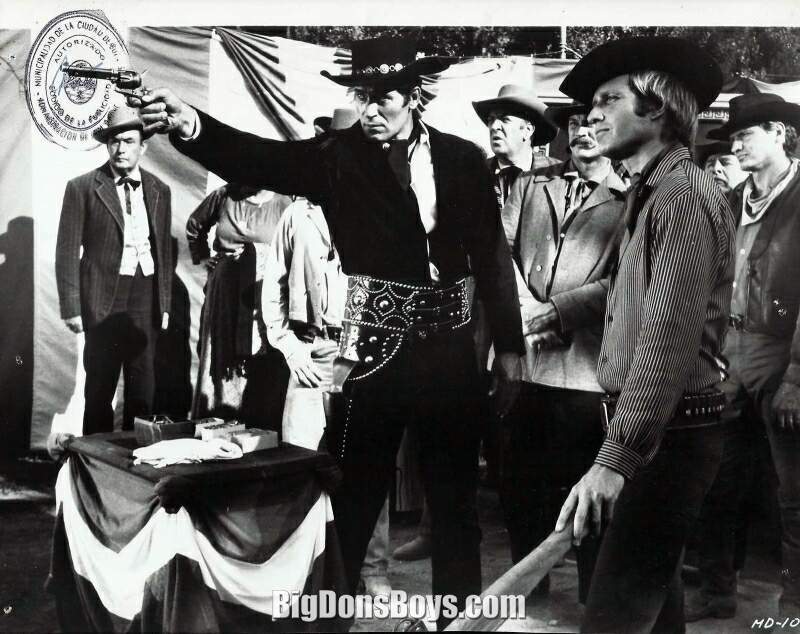 A friend in the film industry helped get him a few bit-parts which brought him to the attention of Warner Bros., which was developing a western style television series. 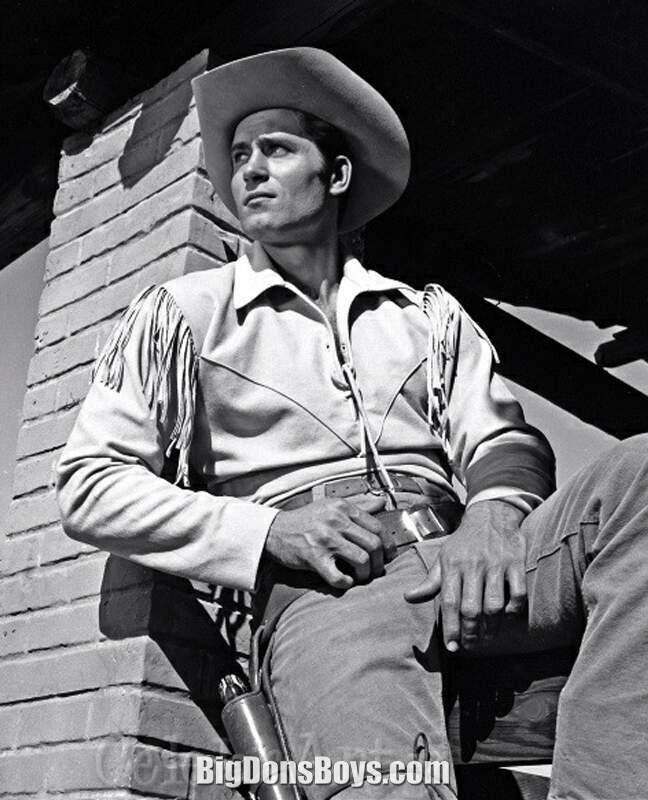 Walker's good looks and imposing physique with a 48-inch chest and a 32-inch waist helped him land an audition where he won the lead role in the TV series Cheyenne. 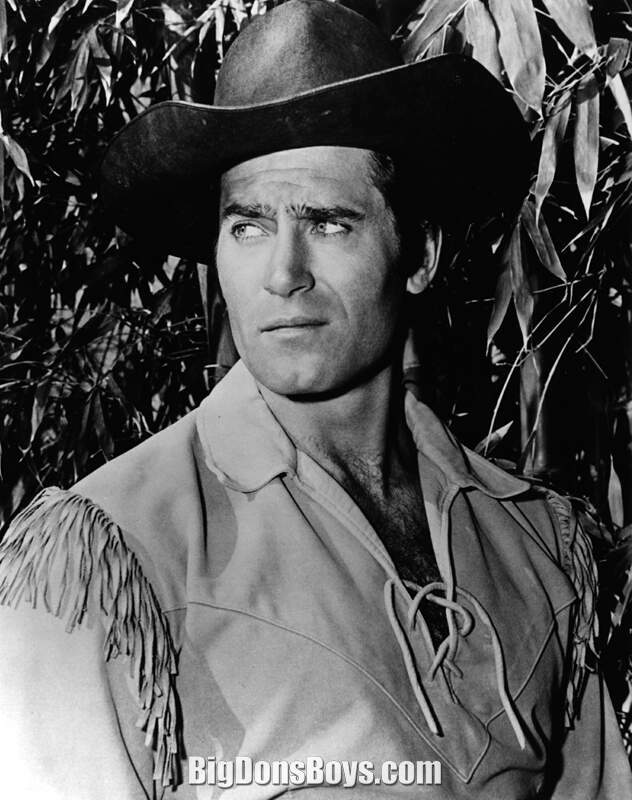 Billed as "Clint" Walker, he was cast as Cheyenne Bodie, a cowboy hero in the post-American Civil War era. 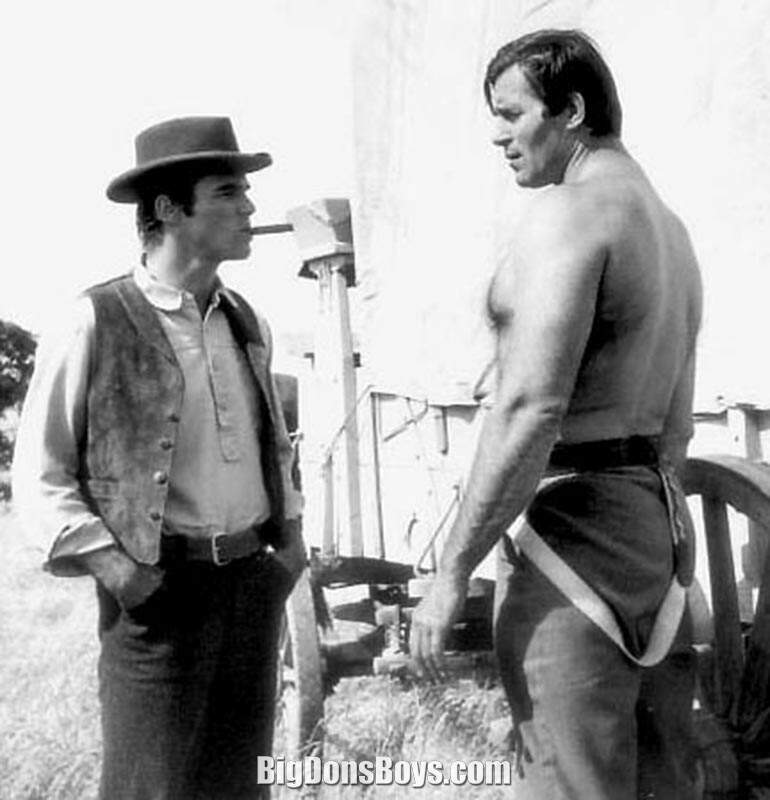 While the series regularly capitalized on Walker's rugged frame with frequent bare-chested scenes, it was well written and acted. 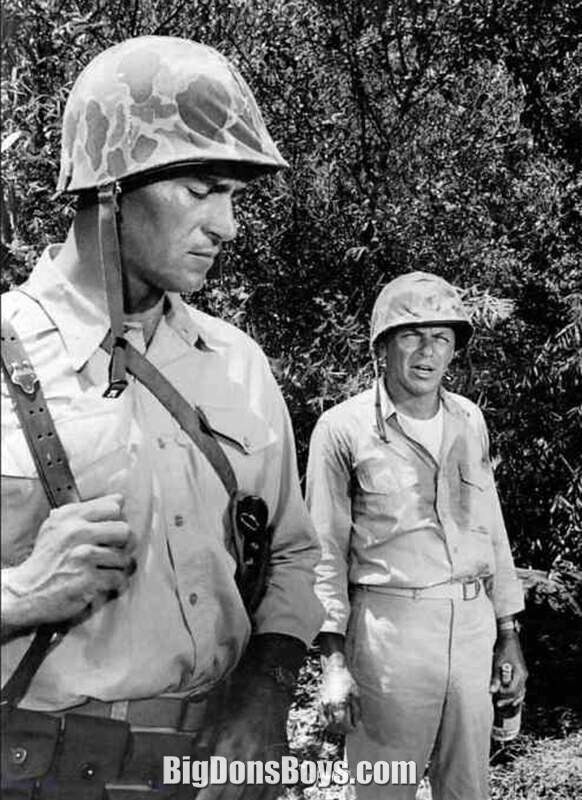 It proved hugely popular for eight seasons on the ABC television network. 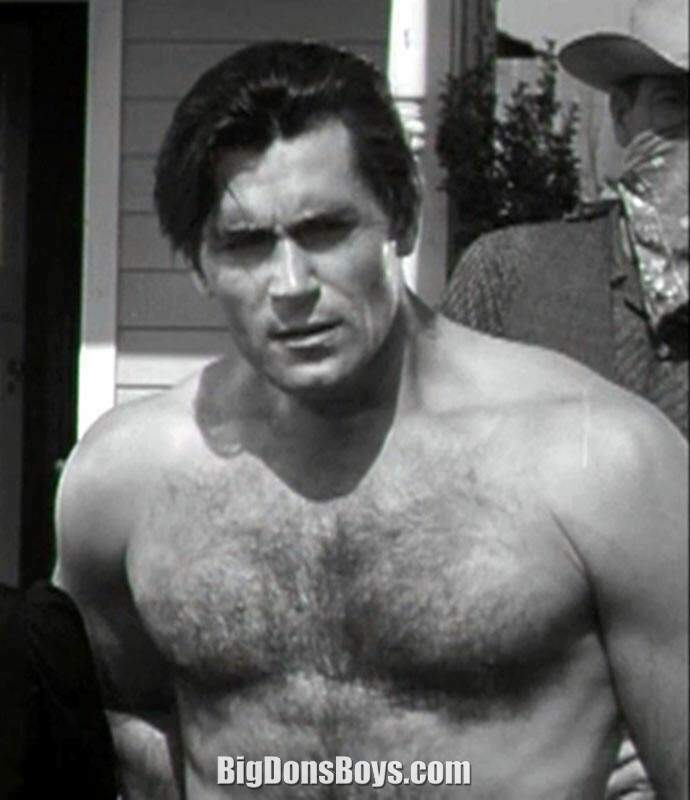 There are stories that it was written into his contract that he be bare chested in at least one scene per episode. 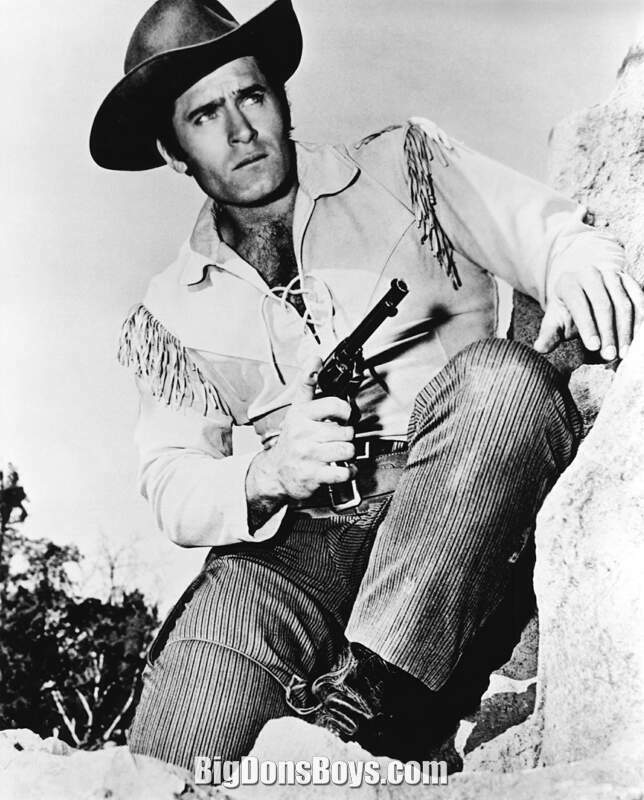 Cheyenne ran from 1955 to 1963, except for a hiatus when Walker went on strike for better terms (1958–1959); among other demands, the actor wanted increased residuals, a reduction of the 50-percent cut of personal appearance payments that had to be turned over to Warner, and a release from the restriction of recording music only for the company's own label. 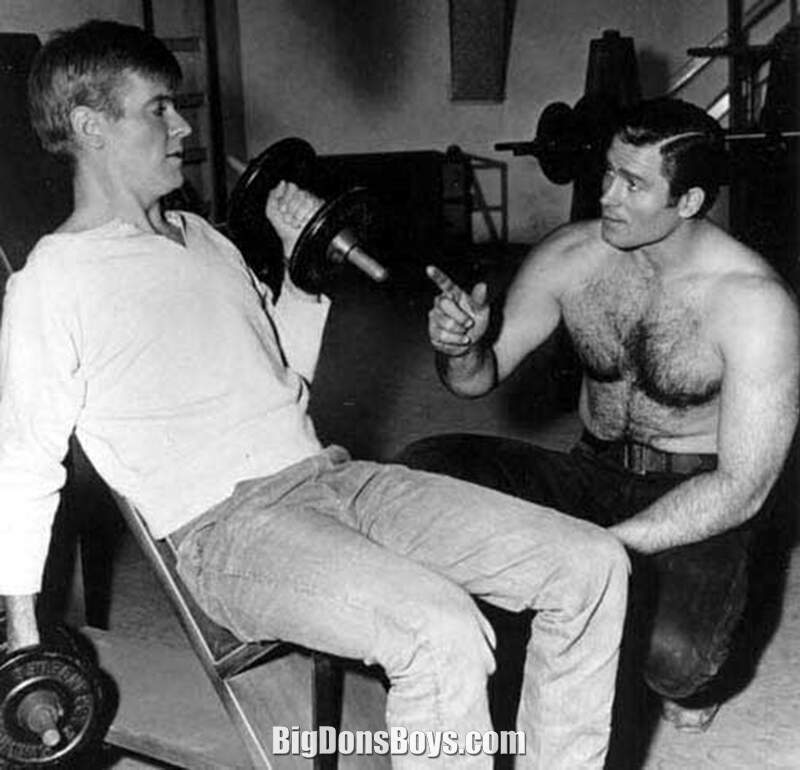 The interim saw the introduction of a virtual Bodie-clone called Bronco Layne, played by Ty Hardin, a native of Texas. 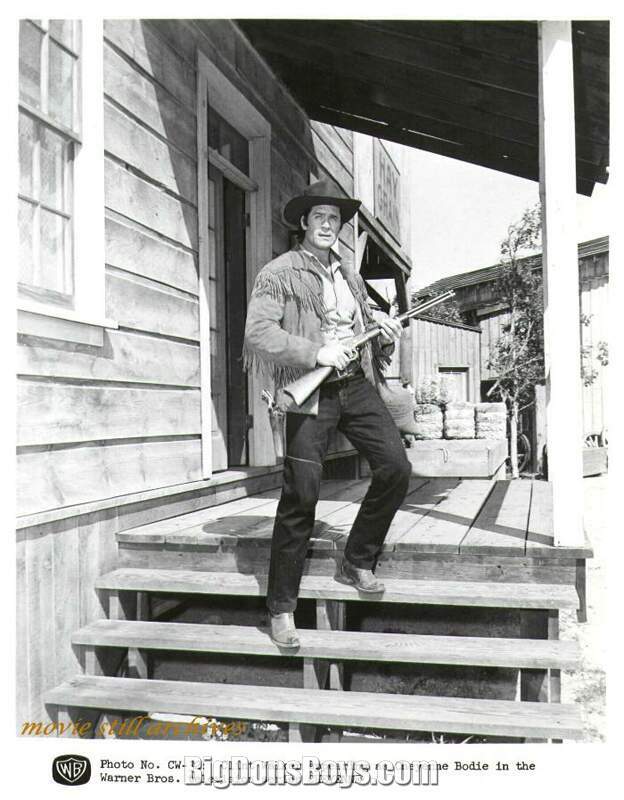 Hardin was featured as the quasi main character during Bodie's absence. 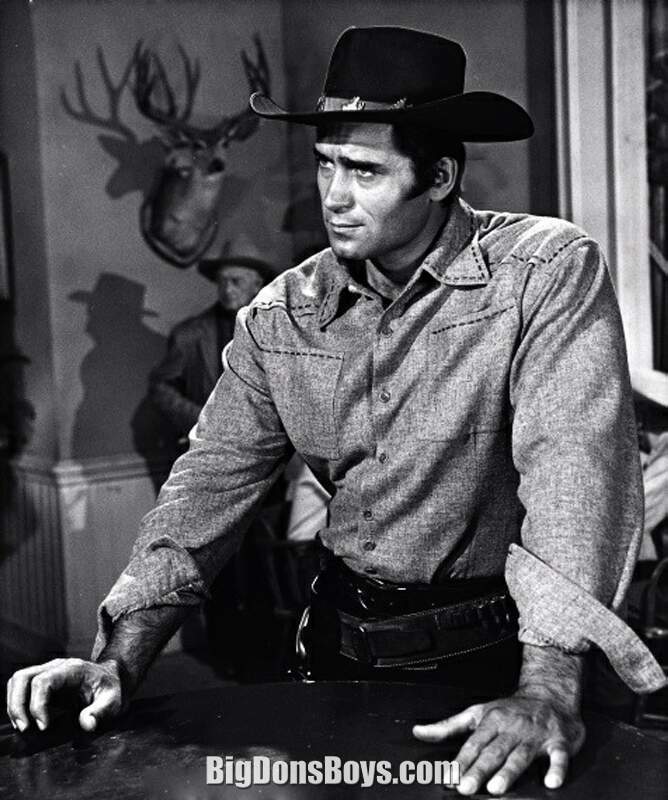 When Warners renegotiated Walker's contract and the actor returned to the show in 1959, Bronco was spun off as a show in its own right and became independently successful. 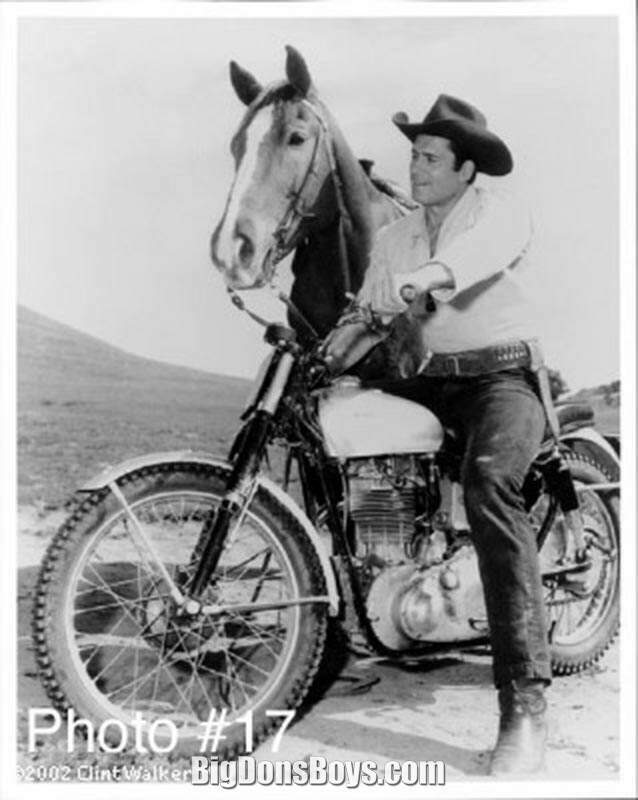 The two series alternated in the same time slot from 1958 to 1962, with Bronco as the junior partner (only a snippet of his theme song was heard in the opening credits, as a kind of aural footnote to Cheyenne's). 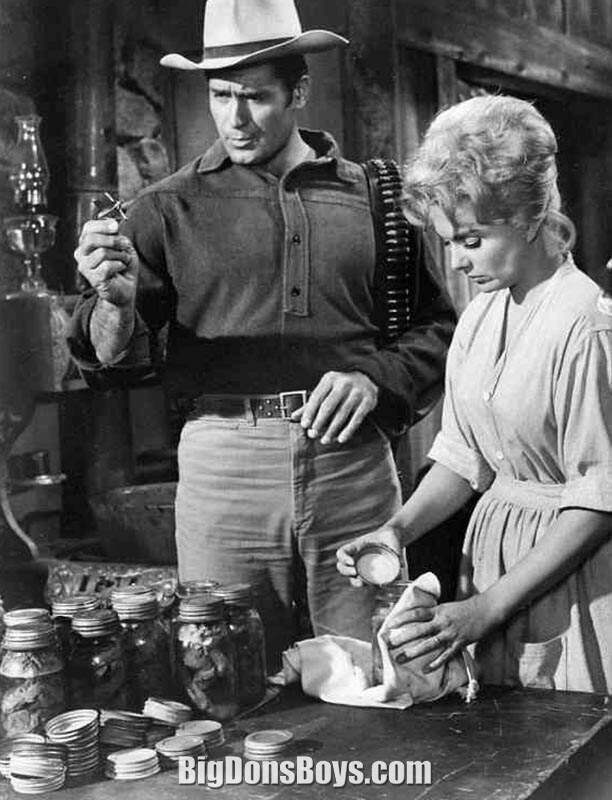 Occasionally both Cheyenne and Bronco appeared together in the same episode, both deadly serious as they worked together. 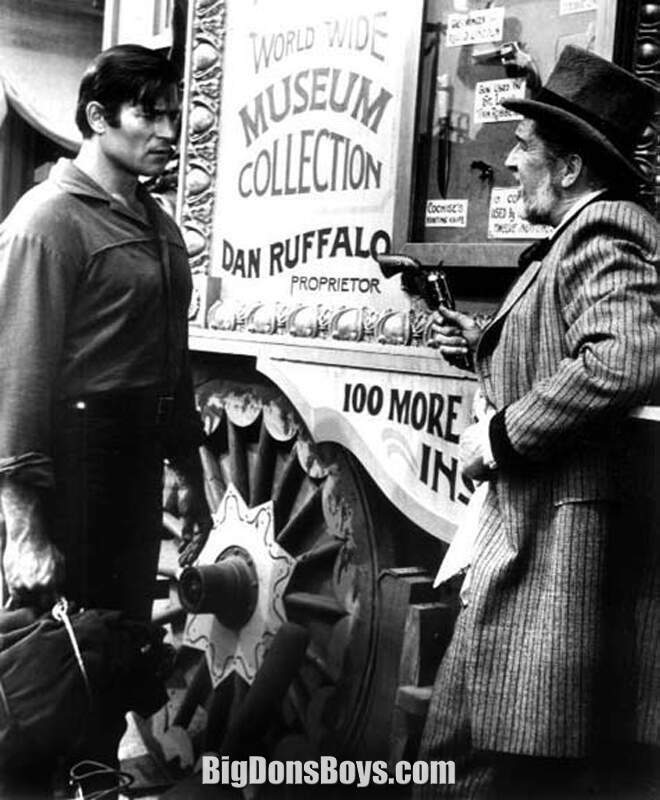 Even after returning to the program — having been prohibited from seeking other work during the long contract negotiation — Walker was unhappy continuing to play a role he felt he had exhausted, complaining to reporters that he felt like "a caged animal." 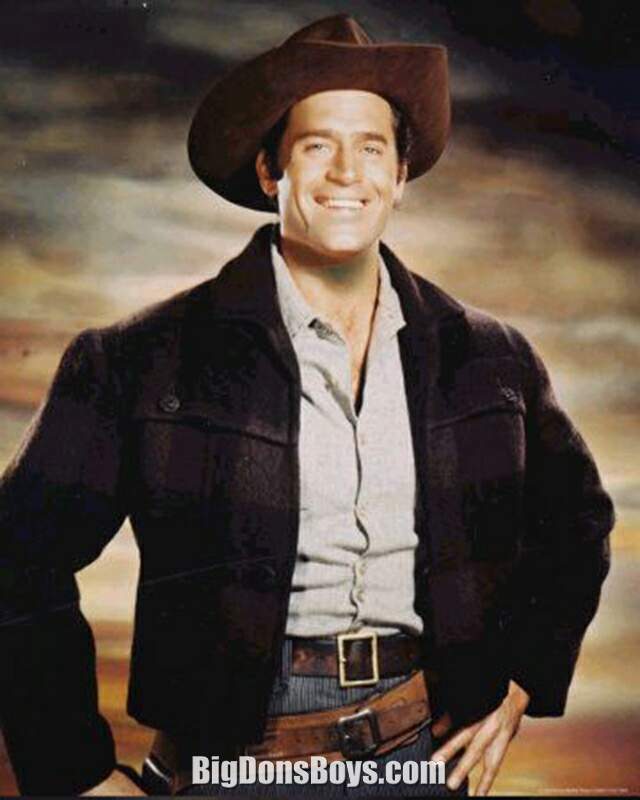 Though Cheyenne aired for seven years, the series had only 108 episodes because it was in repeated alternation with other programs and was out of production during Clint Walker's contract dispute with Warner Brothers. 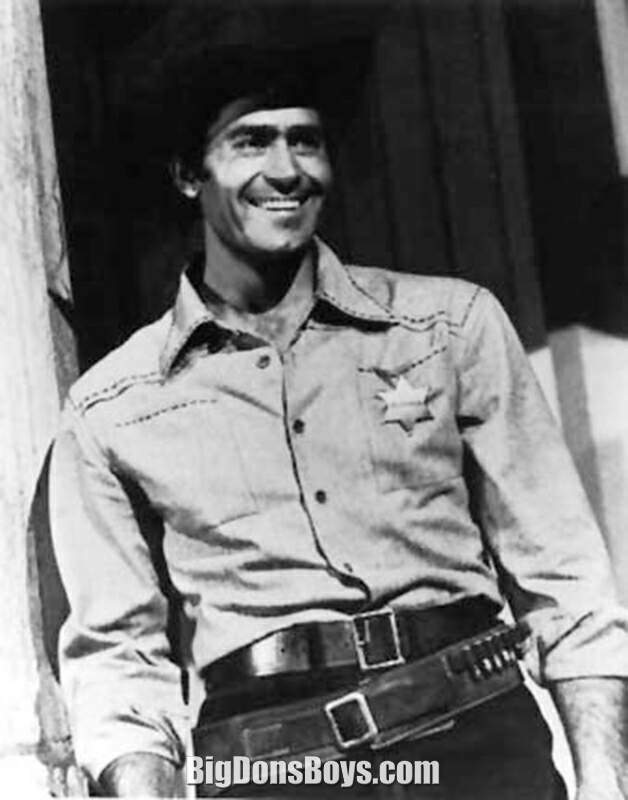 Walker's pleasant baritone singing voice was also occasionally used on the series and led Warner Brothers to produce an album of Walker doing traditional songs and ballads. 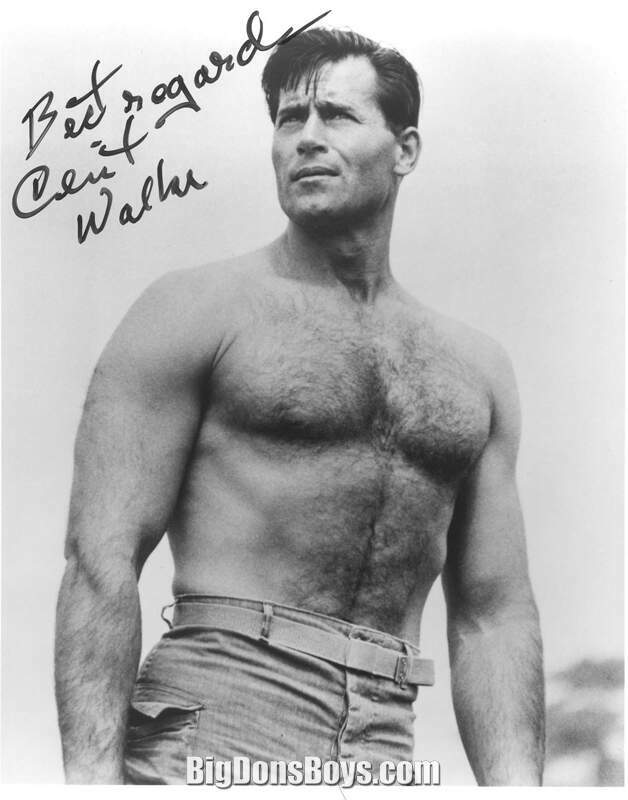 Walker then played roles in several big-screen films, including a trio of westerns for Gordon Douglas: Fort Dobbs in 1958, Yellowstone Kelly in 1959, and Gold of the Seven Saints , the comedy Send Me No Flowers in 1964, the actual leading role despite being billed under Frank Sinatra in the wartime drama None But the Brave in 1965, The Night of the Grizzly in 1966, and as the meek convict Samson Posey, in the war drama The Dirty Dozen in 1967. 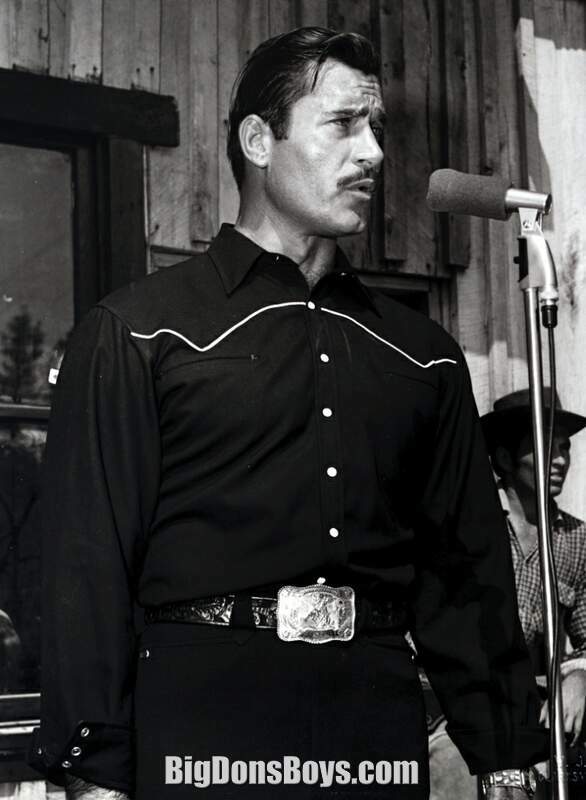 In 1969, New York Times film critic Howard Thompson, in reviewing Walker's performance in the movie More Dead Than Alive, described the actor as "a big, fine-looking chap and about as live-looking as any man could be. And there is something winning about his taciturn earnestness as an actor, although real emotion seldom breaks through". 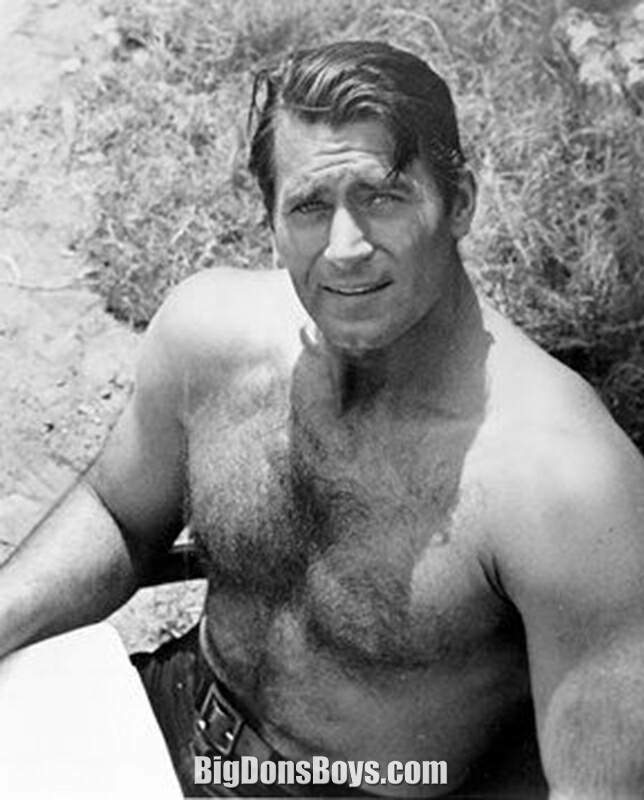 In 1958, Thompson described the actor, then starring in Fort Dobbs, as "the biggest, finest-looking Western hero ever to sag a horse, with a pair of shoulders rivaling King Kong's". 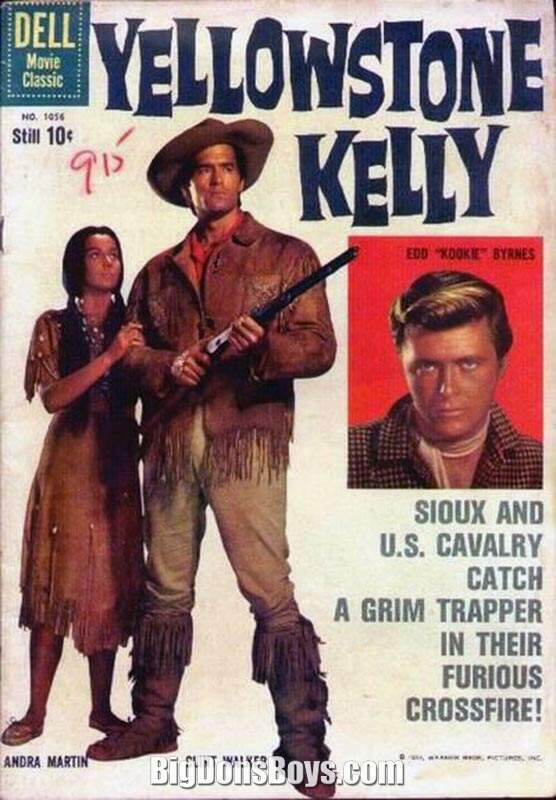 During the 1970s he returned to television, starring in a number of made-for-TV western films as well as a short-lived series in 1974 called Kodiak. 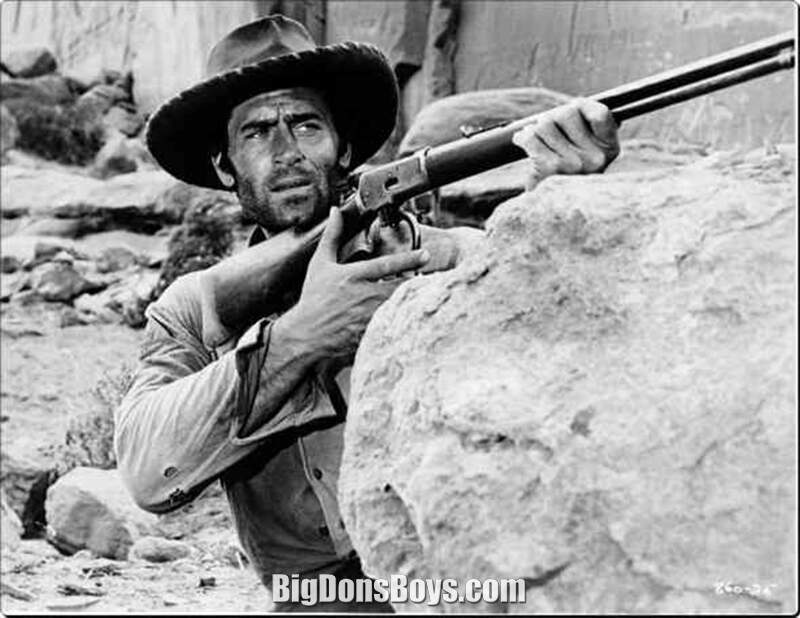 He starred in the made-for-television cult film Killdozer! 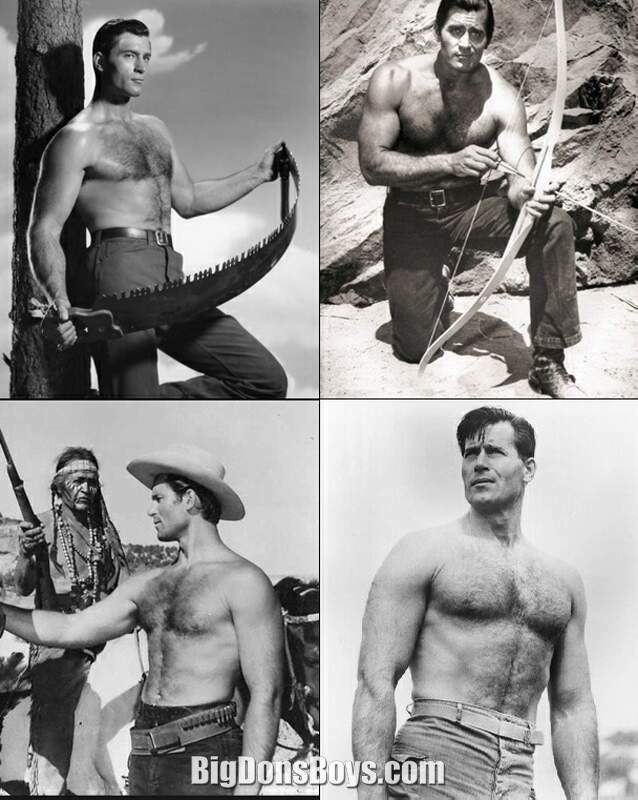 the same year. In 1998, he voiced Nick Nitro in the film Small Soldiers. 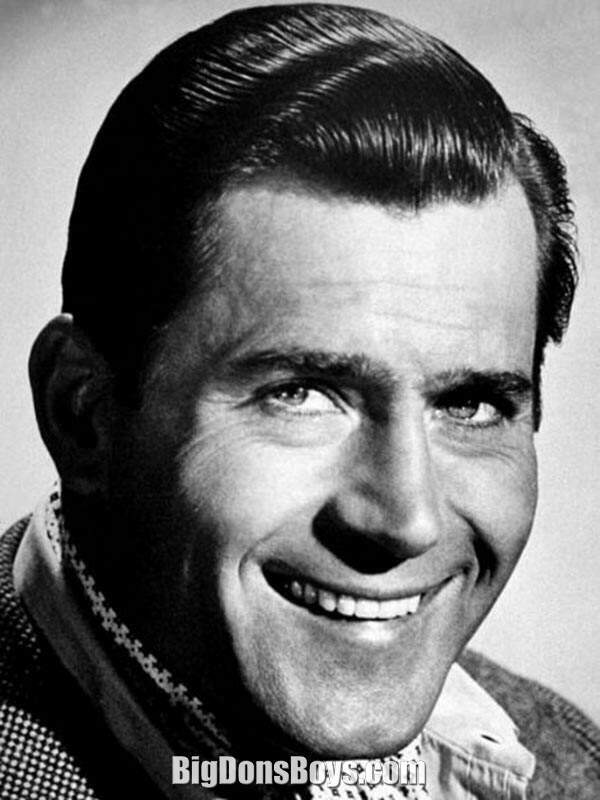 He has a star on the Hollywood Walk of Fame near Vine and Sunset. 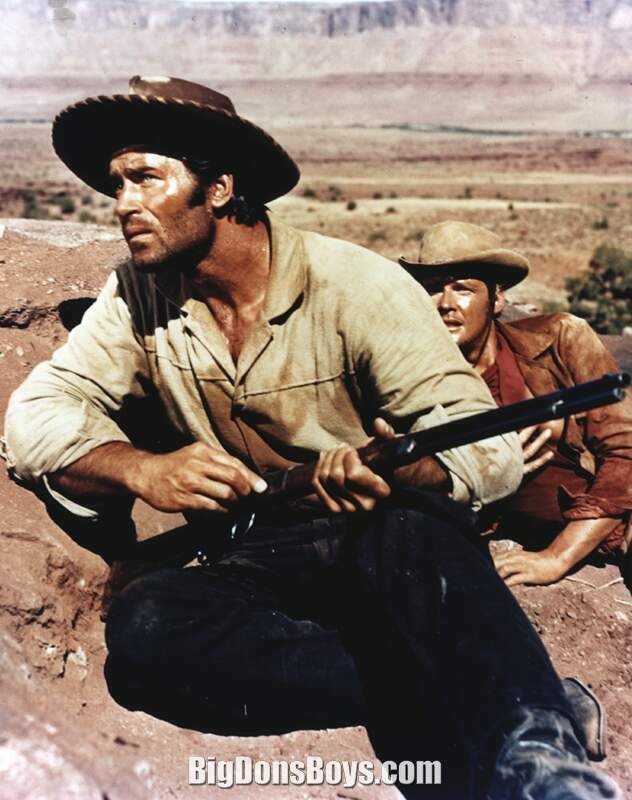 This is the same location the first western silent movie was shot in Hollywood, "The Squaw Man." 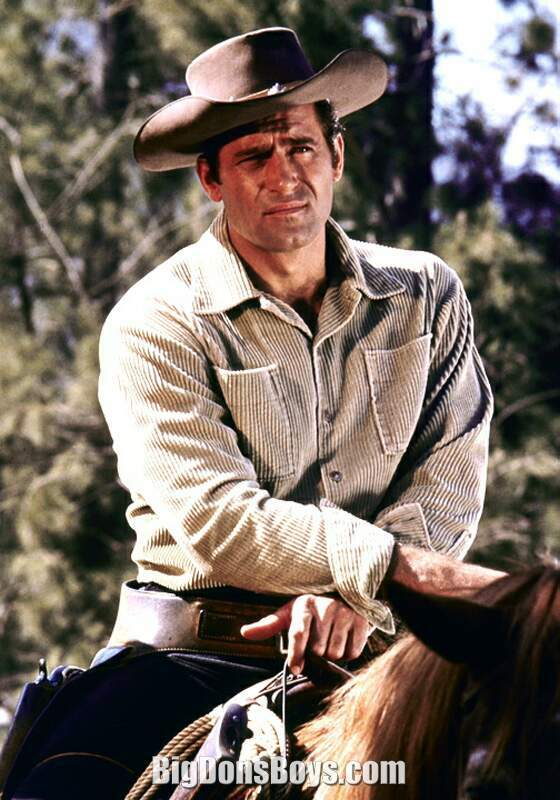 You can watch all of the old TV show Cheyenne starring Clint Walker if you like. 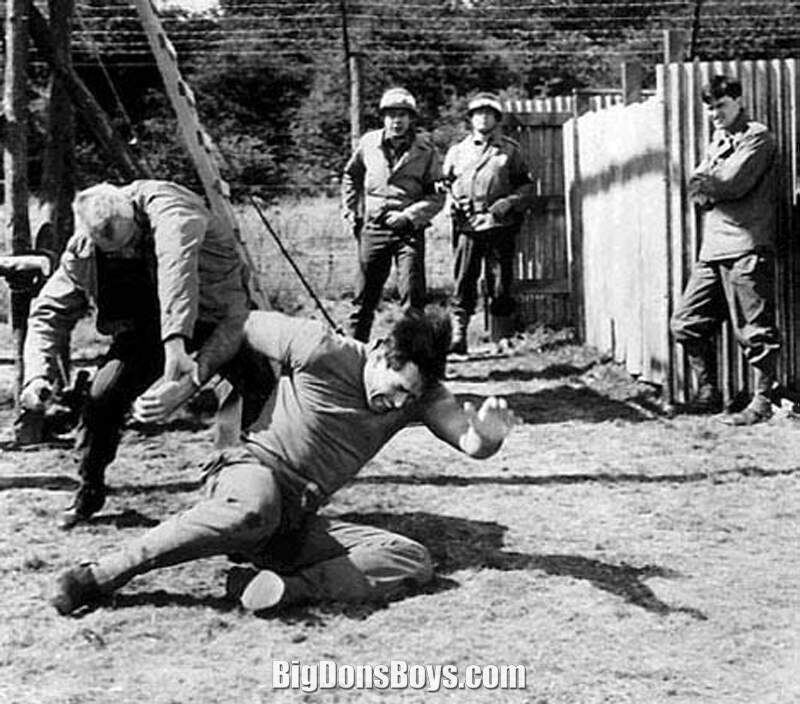 Or you can watch this three minute collection of al the best parts. The hairy chested ones! 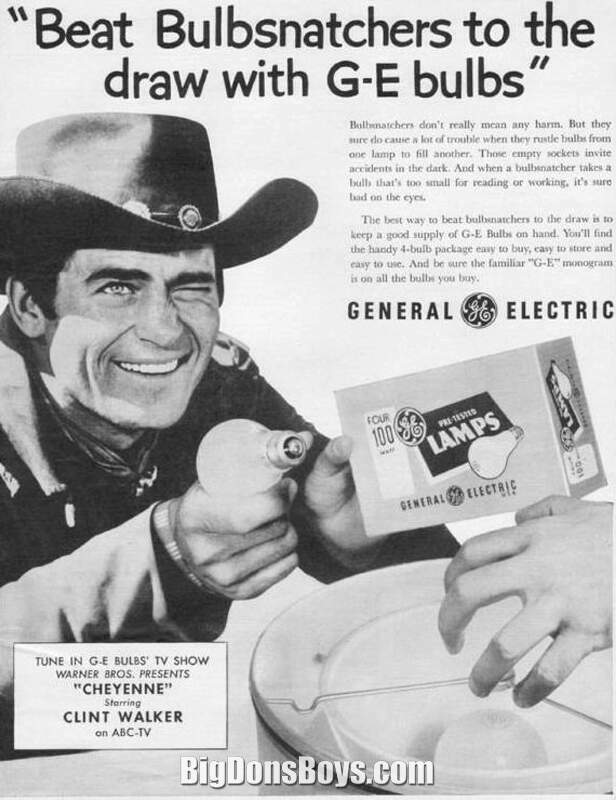 Cheyenne is an American western television series of 108 black-and-white episodes broadcast on ABC (American Broadcasting Company) from 1955 to 1963. 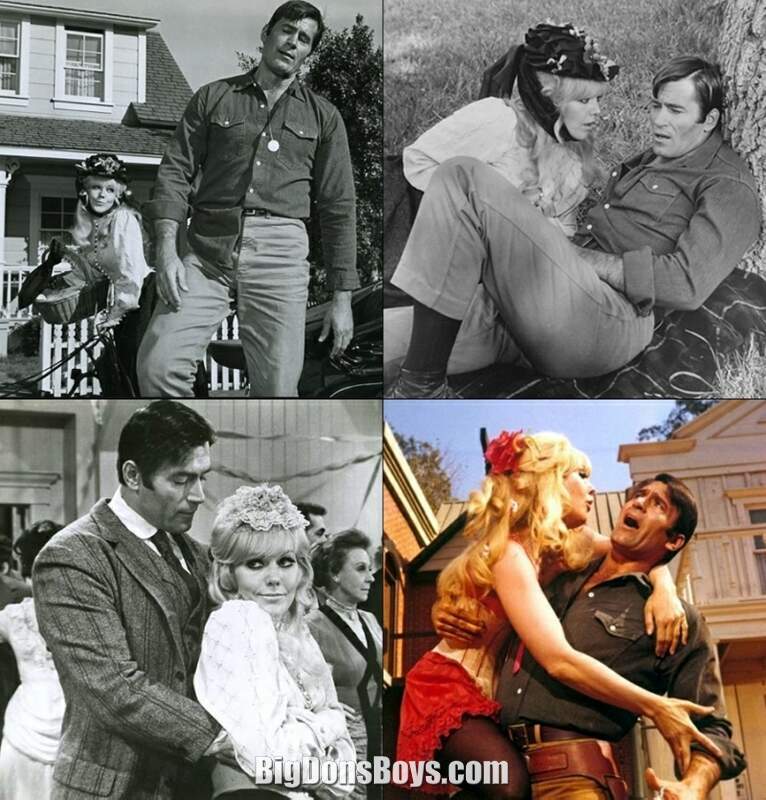 The show was the first hour-long western, and in fact the first hour-long dramatic series of any kind, with continuing characters, to last more than one season. 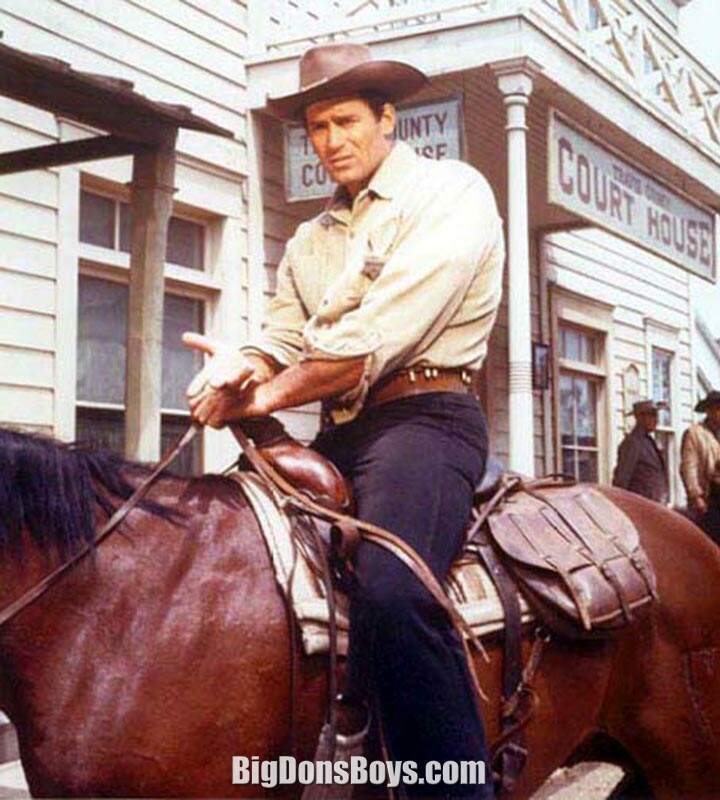 It was also the first series to be made by a major Hollywood film studio which did not derive from its established film properties, and the first of a long chain of Warner Brothers original series produced by William T. Orr.